26 January 2012. St. Petersburg. 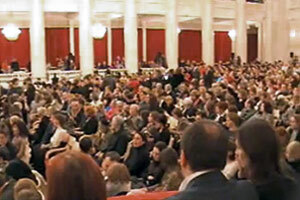 On 26 January the premiere of the Alexander Sokurov's film “Faust” took place in the Saint–Petersburg Academic Philarmonic named after D.D. Shostakovich. 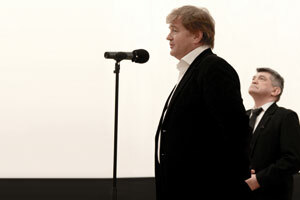 The film was presented to the public by the director himself and the film's producer Andrey Sigle. The premiere was attended by one of the leading men in the film Anton Adasinskiy. 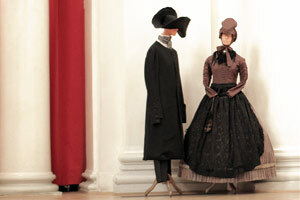 The costumes from the films were displayed in the hall.